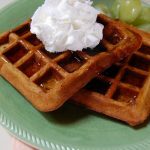 A Christmas morning tradition in our family, we serve these delicious waffles with a side of bacon and/or sausage and a plate of fresh fruit. Makes wonderful pancakes too!! In a large bowl combine flour, baking powder, cinnamon, ginger, nutmeg and salt, set aside. In a medium bowl, beat together eggs and brown sugar until light and fluffy, then beat in pumpkin, milk, molasses and melted butter. Gently fold egg mixture into flour mixture, until moist. Do not over stir the waffle batter. Brush the iron with a little melted butter and cook according to manufacturers directions. 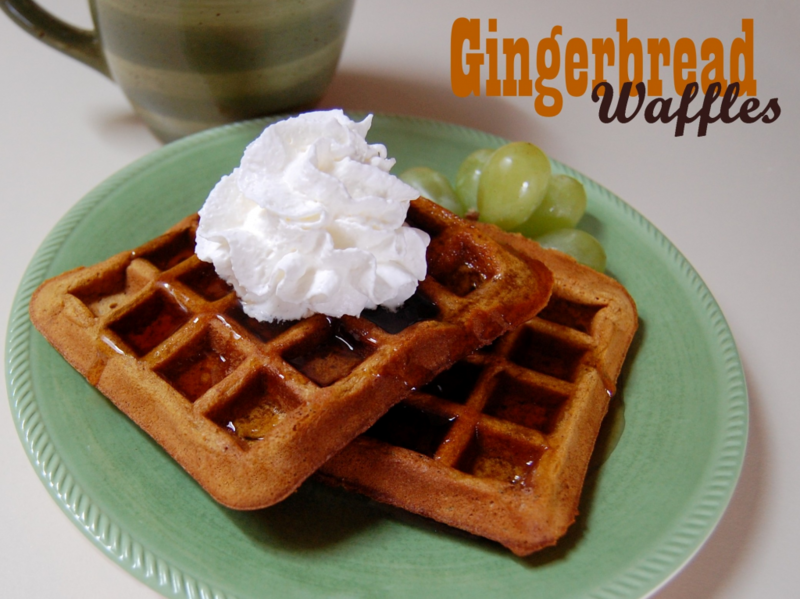 Top with warm maple syrup and whipped cream or fresh fruit. Cook's Note: Batter will be thick in consistency.